In prehistoric times, ceramic products were understandably coarse as most were mixed by women from sand and other materials. Most of the designs on the surface of the ceramics were created with sticks while the products were still wet. 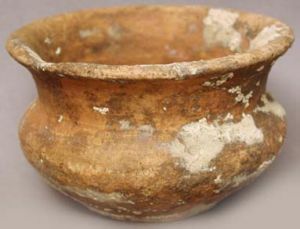 All of the pottery products from this era had useful applications for household duties and cooking. Nowadays, some localities are still specialized in producing ceramics, including Bac Ninh Province, Thanh Hoa Province, Nam Dinh Province, and Hanoi.